Hi everyone!! 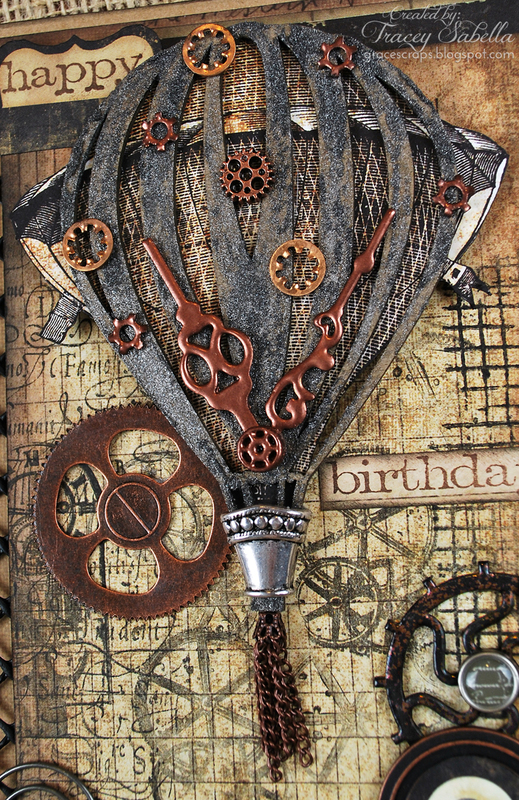 It's Tracey here to share this masculine steampunk birthday card I created for our son-in-law. I've been wanting to use the Leaky Shed Studio Hot Air Balloon for some time now and thought it would be fun to go steampunk with it. 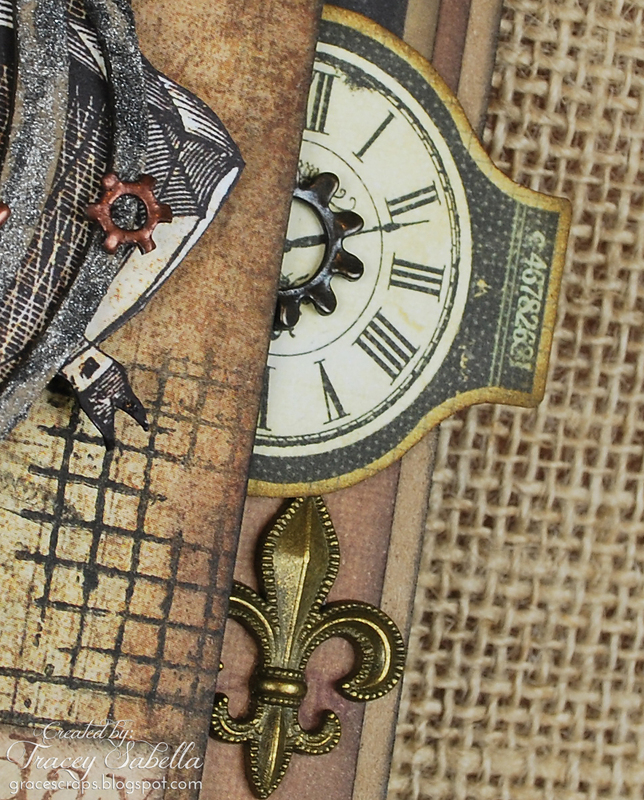 I've also used the Watch Parts, one of my favorite chipboard sets!! Often we think about molding paste being used with a stencil. Here, I've brushed Viva's Graphite Special Effect paste randomly over the chipboard, leaving bits of raw chipboard showing through in some places, and other areas with thicker layers of paste. 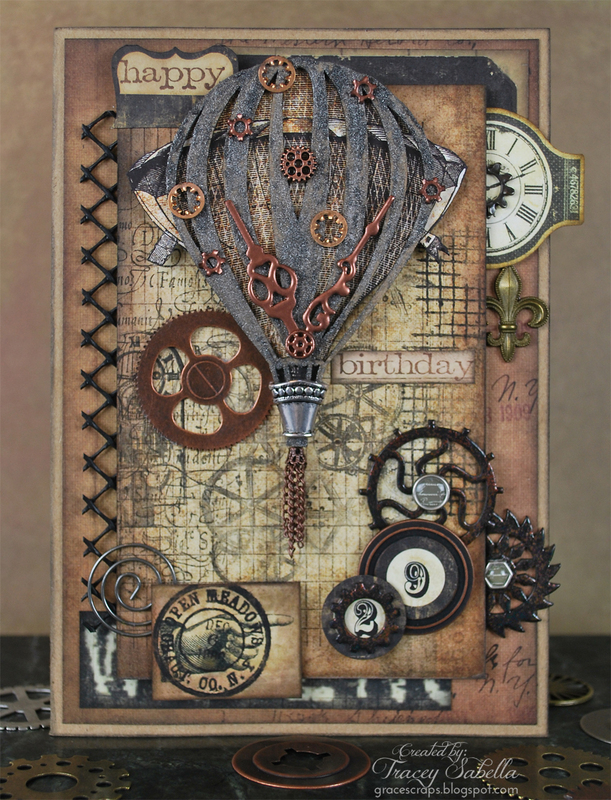 The Leaky Shed Studio Hot Air Balloon fit perfectly over this balloon from Prima's Cartographer paper collection, which I fussy cut and adhered to the back of the chipboard. The "basket" is a jewelry finding piece from my stash. 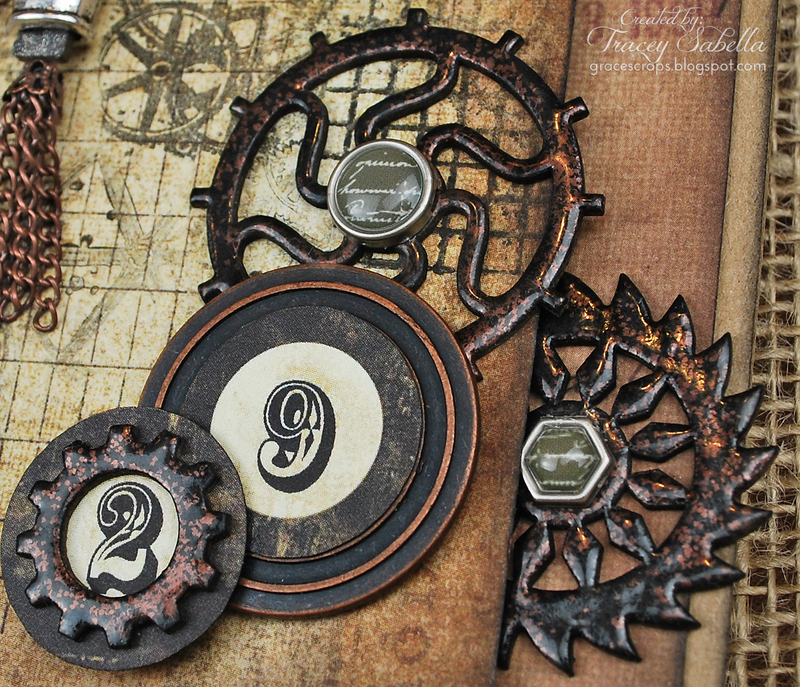 For a steampunk edge, I adorned with metal clock hands and mini gears. Some of them were a silver/pewter color, so I heat embossed them with Donna Salazar's Leather Mix'd Media Embossing Powder, which has a coppery metallic sheen. Others were copper and left in their natural state. 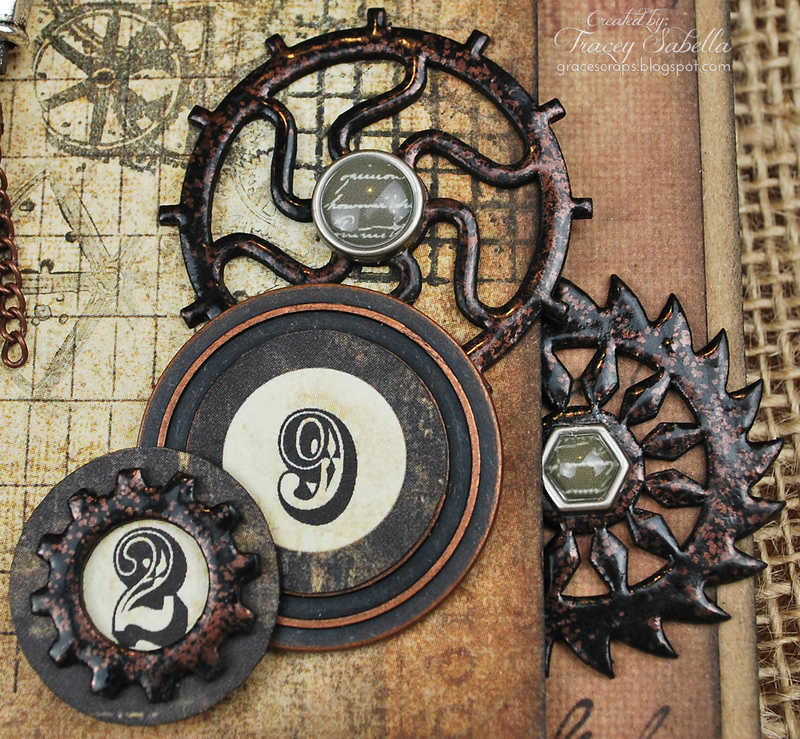 The Leaky Shed Studio Watch Parts were heat embossed with black embossing powder and while still hot and molten, sprinkled with Leather embossing powder and reheated giving this rusty metal look. Another view of the gears. You can see just how much shimmer and depth this embossing powder technique gives. A close up of the top corner. I like to let embellishments hang off the edges of my cards. 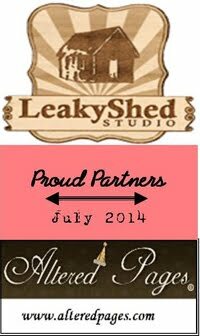 Be sure to check out the fabulous selection of steampunk chipboard that Leaky Shed Studio offers HERE. I love this card! I mean, really love it!